A triple-distilled malt matured solely in American bourbon casks. 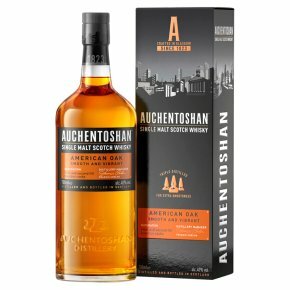 Sweet aromas of vanilla and coconut combine with layers of zesty citrus fruit, along with the Auchentoshan signature-smooth, delicate taste. Flavours of vanilla cream, coconut and white peach end with a crisp finish and a hint of spice.